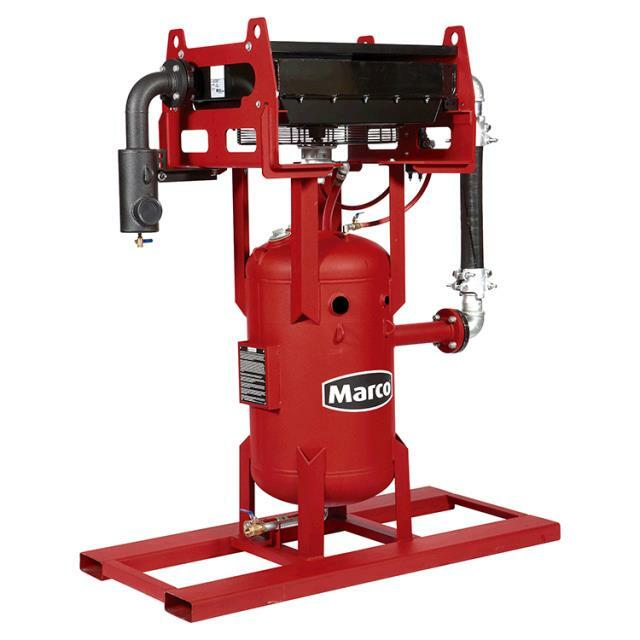 The 750 CFM Aftercooler with Coalescing Tank removes up to 95% of moisture, oil, and other debris commonly found in compressed air. 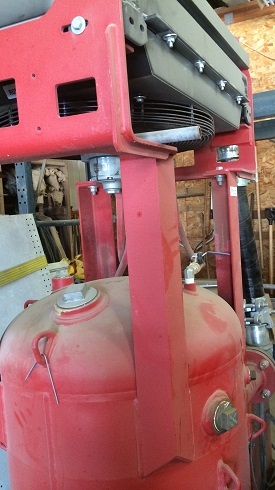 Dry air is a critical component of any air-blasting system. Wet abrasive clogs abrasive metering valves and leads to excessive wear, resulting in costly downtime and additional maintenance. It is commonly used with air-blast pots, airless spray equipment, conventional spray equipment, and pneumatic tools. Typical applications include: air-blast yards, oil refineries, pipelines, storages tanks, shipyards, and bridges. Individual safety cable attachment rings on each outlet port. Inlet moisture separator with integrated stainless steel demister pad. Four overhead lifting lugs. Fork-pocket base. Field repairable hoses. 3" inlet port. * Please call us for any questions on our 750 cfm aftercooler w/coalescing tank rentals in Fort Madison IA, serving Southeastern Iowa and Western Illinois.